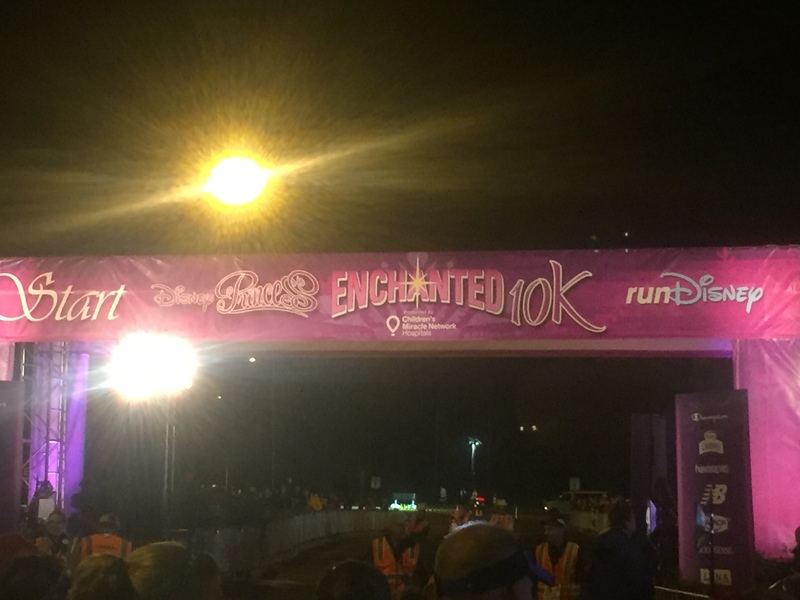 It was the enchanted 10K morning. It was pretty cool, but not too cold. I’m not a big tutu fan. I’ve been in lots of obstacle races where people wear them and get hung up in barbed wire and other things. I thought it would be funny to wear a tutu to one of the races down there as a tongue in cheek type of deal. I also thought it would be funny to see a guy in a tutu running in a sea of women. My wife talked me out of it thankfully. So here is another thing I didn’t anticipate at this series: The amount of dudes in said tutus. The ratio for the races is 90%-95% women depending on the actual race. I would say about 10% of the guys were wearing tutus. 10% of 5-10% of the crowd doesn’t sound like a lot, but that equals about 200 dudes in tutus! I chose to don my shorty-shorts instead and got ready for the race. 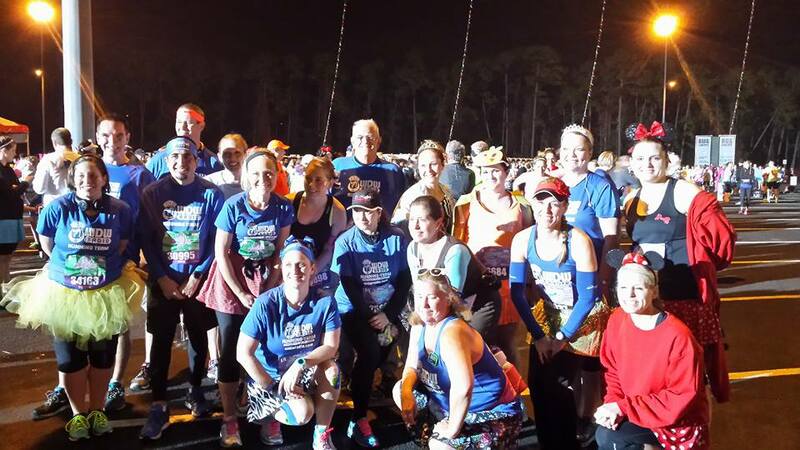 Our team had our typical meet up and we were off to the corrals. I was determined to not end up in long-line-selfie-land today, so I was going to go at a good pace and only stop for characters that I needed. (Which is starting to get harder. We just got our 500th different character on this trip.) 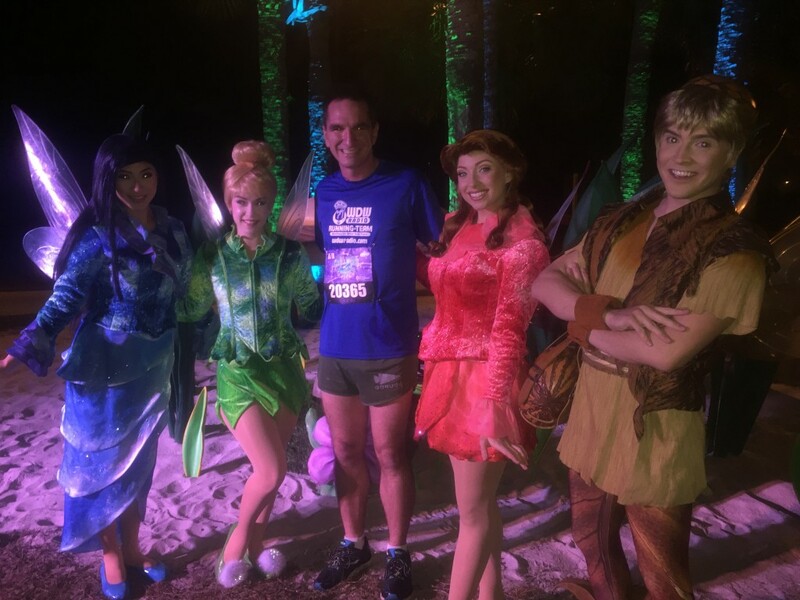 Dave from the Mickey Milers joined me up at the front and we got to hang out in the moments before the race. 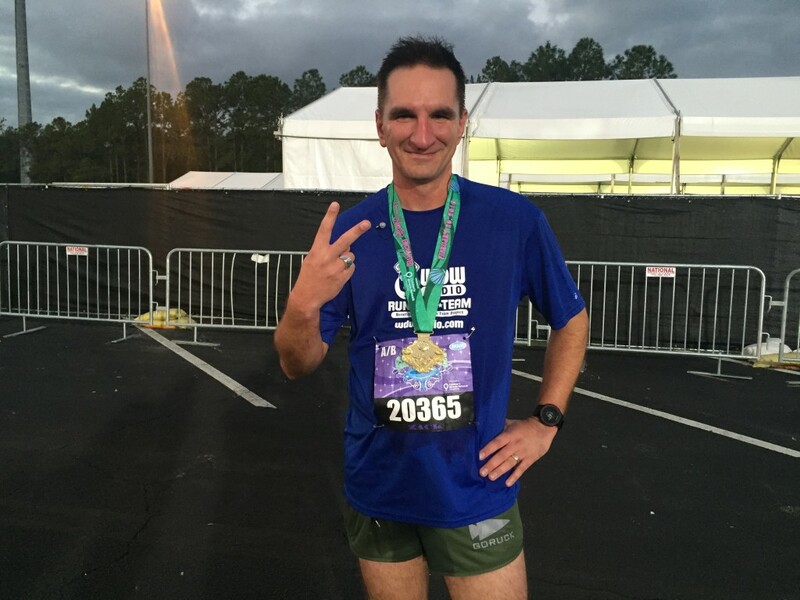 He was going for time and ended up winning his age division. The way the course works is that it doubles back on itself a little after the first mile. If you look over to the return side you can get a glimpse of the character stop. 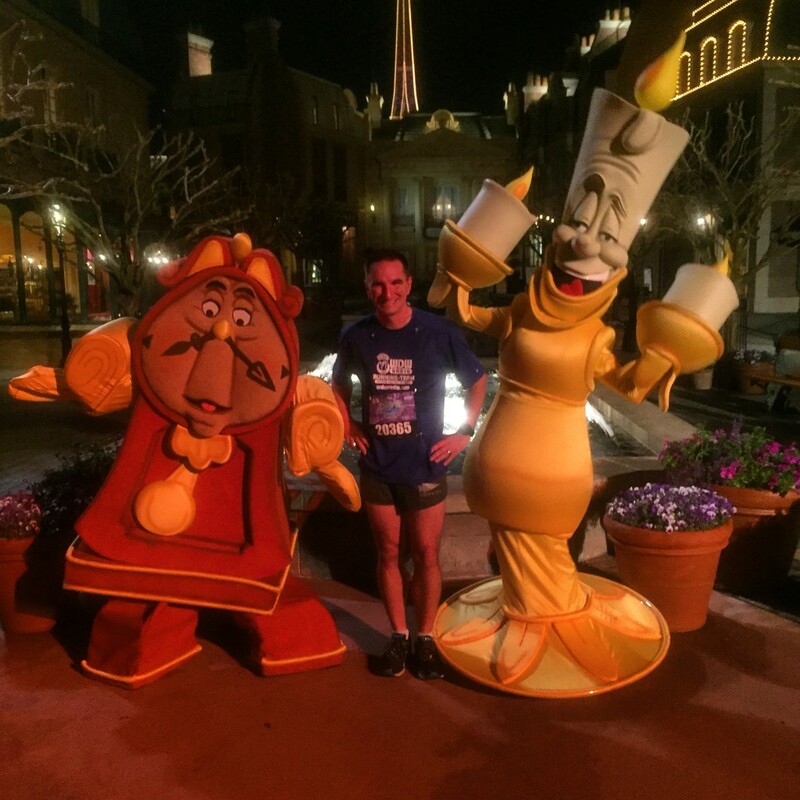 (This was one of my longest stops at the WDW 10k in January.) I look over and see all the fairies hanging out because no one had made it there yet. That was a good motivator to truck it, so I did and passed the evil hag on the way. I made it and only had a 30 sec wait as opposed to an 8 minute wait the last time. I have better legs than Terrance. Many of the characters have a winter set and a summer set that they can choose from. What only a true character nerd would know is that many of the ones in 10k race were in modified outfits, neither fully summer nor winter. 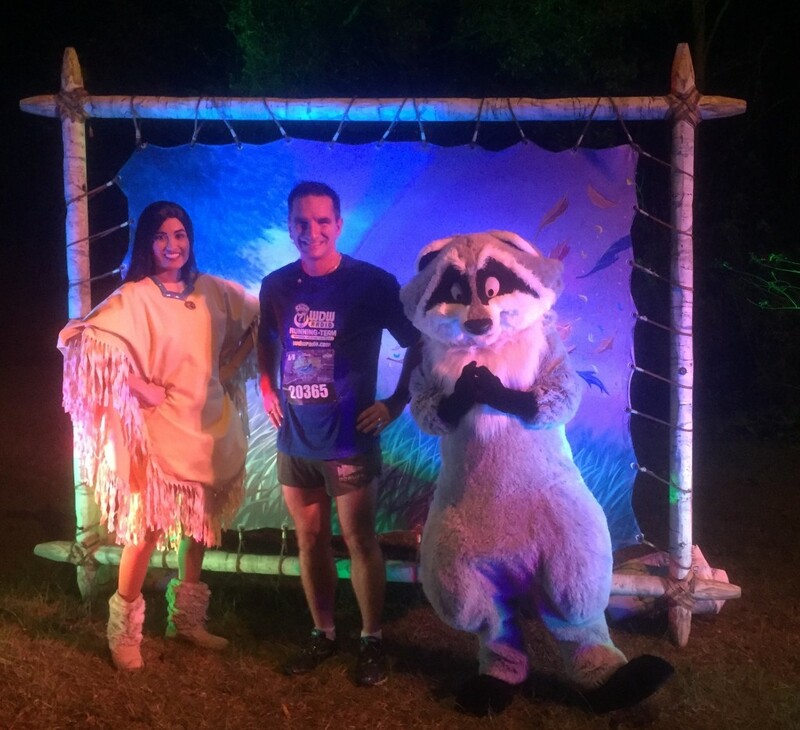 The next stop was Pocahontas. We’ve met her a bunch of times in both her summer and winter outfits but I had never seen in in a poncho before. Another fun modification for the nerds. The next mile was pretty quiet. You go around back and enter through the back gates to Epcot. No characters back here besides the jester characters on stilts from marathon weekend. 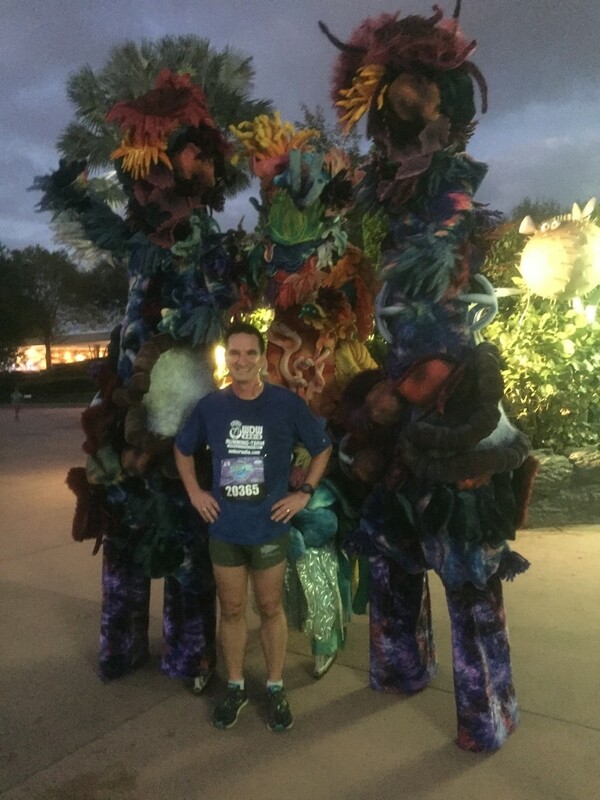 I love rounding the corner into Epcot proper at the 5ks and 10ks. It’s just impactful. 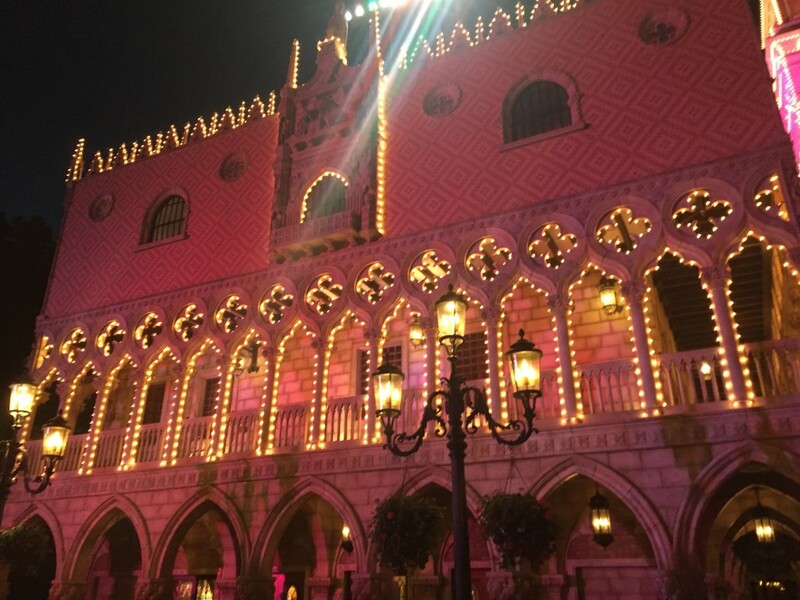 For these races they had the torches lit, some of the Christmas lights on the edges of the buildings and most of the building lit up in pink. It was a good spin to capture the race series. I passed by several characters in this area: Genie in his vacation outfit, Jiminy Cricket, and Pinocchio. The selfies were at a minimum here, because I was still in the more competitive group. There is usually someone in France, and sure enough Cogsworth and Lumiere were out together! They swapped out during marathon weekend, so I missed Lumiere before. Once there the CM says that they are leaving in 1 minute. People start freaking out a little and start trying to get real quick pictures. I make it next up in line and the line gets cut…. They leave me holding a line of people. Meanwhile I’m thinking of that selfie crowd inching its way toward me. Not long later, they come back out and I was able to get my picture. From there its a trip around the boardwalk and back in to Epcot for the finish. 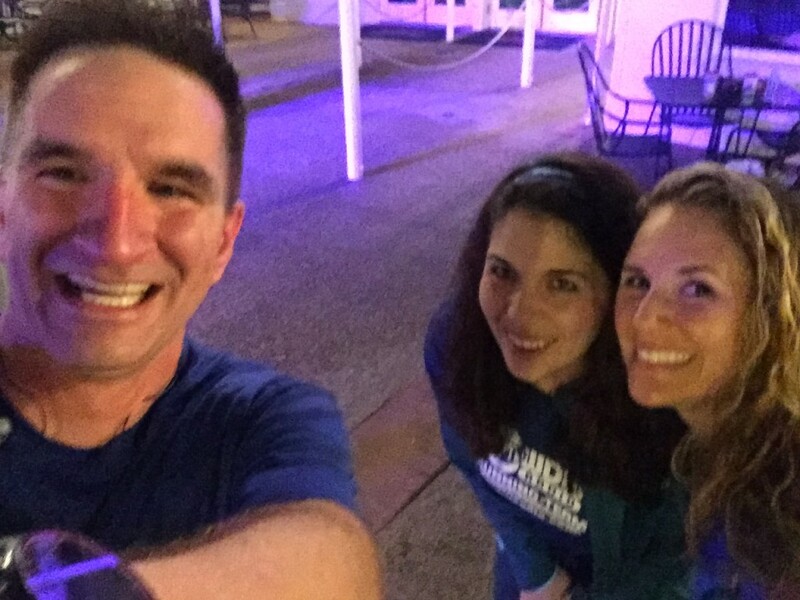 I was so happy to see Deanna and Danielle cheering me on out in front of the bakery. I really do love my team! The boardwalk is fun because there is usually a fun crowd out and guests are out in front of their hotels cheering too. Instead of the cute coral from yesterday they had these things…… Evil coral? Around the bend and the ball and its off to the finish again. Beth and Sharon had a good time picking up characters in the pre-race area, while I was out doing my thing. It was definitely better out in front today. Two down and one to go. 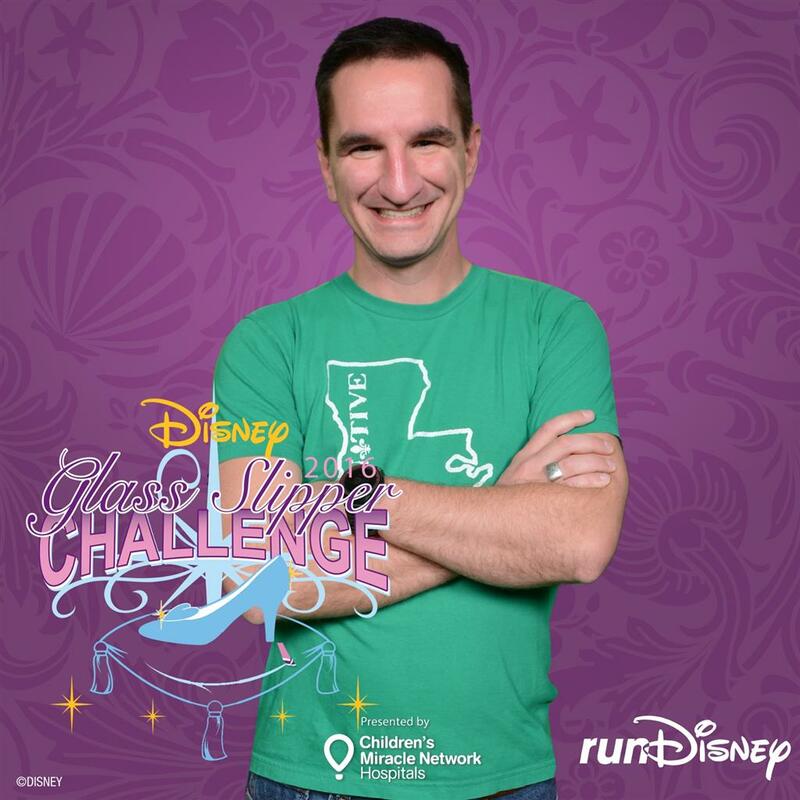 The half marathon and Glass Slipper Challenge are up next!